Celebrities seem to change hair styles as often as they do clothes, always looking for a new look to get attention and improve their images. While most of us don’t have the resources to switch up so suddenly, sometimes celebs’ new looks can offer us some ideas we can adapt. Here are 6 that have really changed things up this year. #1 Taylor Swift: She used to appear in public with a clean-cut bob style and bangs. This was her look in February the Grammys. Maybe it was her ex-boyfriend Calvin Harris who influenced her or it was only a desire to shake all things up, but regardless, Taylor Swift went in a spectacular new direction in April 2016. First, she went platinum blonde and instead of the bob, she had a relaxed bedhead look. #2 Kim Kardashian: Kim is known for all kinds of adventurous hair experiments, and 2016 is no exception to this rule of her trying new looks. The most recent one involved taking her lob and braiding it into cornrows that she then pierced with metal hoops. The hairstylist behind it described it as a “warrior braid” and Kim definitely does look fierce with this edgy new style. #3 Kylie Jenner: Kylie is also known for being as experimental as her sisters when it comes to hairstyles—maybe even more so, because she recently snapchatted a closet dedicated solely to her hair pieces. However, using those pieces took a bit of a toll and damaged the front of her hair. So she recently switched to a blunt-cut bob that’s shoulder-length—it’s simple but frames her face well. #4 Daisy Ridley: The star of the Star Wars reboot favored a simple, shoulder-length, wavy look in her natural color up to recently, then switched up to go redhead and chop back her hair into a cute, tousled bob. The Force (of style) is definitely strong in this one. #5 Selena Gomez: She used to favor very straight, shoulder-length locks not far off from the look of some of the Kardashians a few years back. But this year she shook things up with an edgier pop star look. 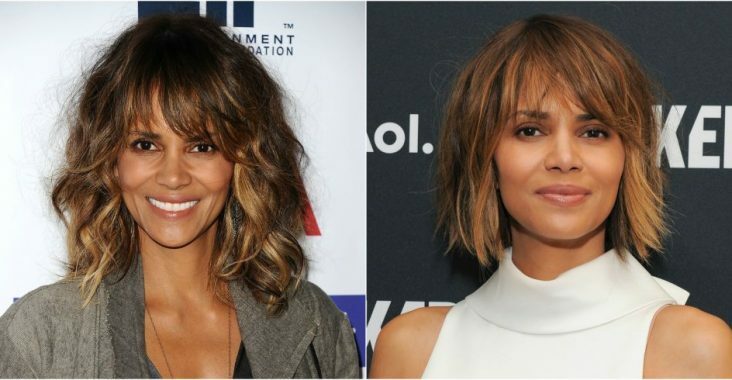 She cut back from the shoulder-length to more of a mid-length and ditched the straight for a very full, curly tousle while keeping some of her light brown highlights. #6 Ariana Grande: For a long time she went with a high ponytail that was slicked back—so long that you could argue that this was her signature look. While she kept the ponytail, it’s a bit lower and she added bangs and slightly darker color. So she still has the girlish look that’s part of her signature, but now it’s updated with a bit more of an edge. Adore Cosmetics formulates leading-edge skin care products to protect against the effects of the sun, environmental contaminants and other common causes of skin issues like wrinkles, lines, spots and dark circles, among others. Read Adore Organic Innovation reviews at online at Adore Organic Innovation.